The VirtualBoxwell Team is proud to offer a handful of selections so that you can enjoy Boxwell at home. While the options below are not completely comprehensive, they are an excellent treasure trove of photos and stories. Of course, we need to be able to maintain this site and pay for postage and materials. We ask for a $15 donation for each of the single disc collections and $20 for the double disc collections. If you find something you like, us the "Contact Us" link at the bottom of the page to place your order with us. We'll give you directions on where to send your check and we'll send the discs on immediately! We hope you'll enjoy the material. Take a look at the offerings and descriptions below, then tell us what you would like! In addition to this new website, we are constantly looking for new ideas for material distribution. After all, the whole point is to get the material out there and keep the website going! 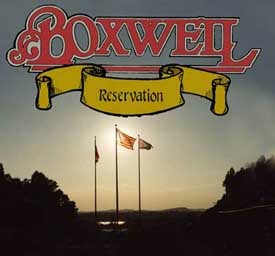 We've dabbled with the idea of a "Greatest Hits" CD of great camp stories, a coffee table book collection of the best Boxwell photos as well as making a multimedia DVD or even a DVD movie ourselves. Of course, we want something that will sell in order to maintain the work we are doing. What would you be interested in seeing? Drop us a note through the Contact Us link. With over 350 photos and 8 1/2 hours of audio stories and camp songs, including stories from Pearl and John Schliecher and Q-ball Pearce this is essential to any Boxwell collection. 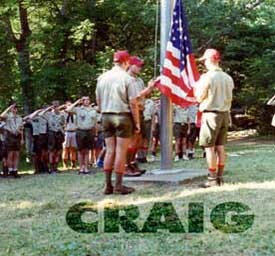 With over 1000 photos, over 4 hours of audio stories and camp songs, including stories from Kerry Parker, Grady Eades and Eric Cole, this is an amazing collection of Craig information. 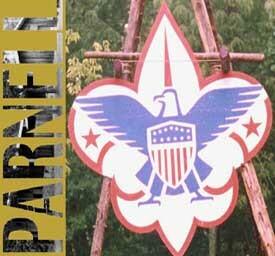 With over 400 photos and 3 hours of audio stories and camp songs, including stories from Kerry Parker, Steve Eubank, Greg Tucker and Eric Cole, this is the definitive Parnell collection. 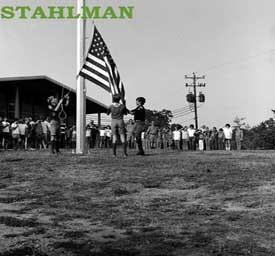 A double CD set focusing on the reservation as a whole this set includes photos and stories on Camp Murrey, COPE, camp operations, and the development of the reservation. 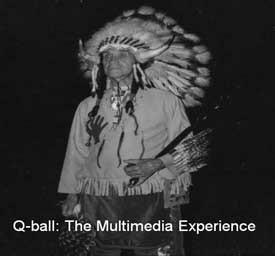 This multimedia CD is dedicated to the late great Floyd "Q-ball" Pearce and includes photos and stories about Q-ball and by the master Boxwell storyteller himself. 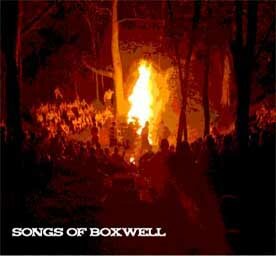 Enjoy two audio CDs of cheers and songs from Boxwell, including unearthed jewels from the Parnell Hootennannies, the 1983 Reunion, and sayings from Q-ball Pearce.